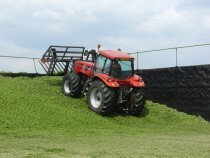 Wastage in silage making is inevitable – but careful management can reduce losses significantly, resulting in considerable cost savings and markedly improved silage quality. This issue of dairy insight we look at how farmers can go about reducing silage wastage this season. The dairy insight publications replace the Farming Notes which have been published by Kingshay since 1991. The topics cover a wide range of issues critical to the success of a modern dairy farm business. These briefings provide dairy farmers, large animal vets, farm consultants and other interested parties with the most important and timely information in a concise two-page format. The information contained in our dairy insight is written and updated by our experts to ensure accuracy and save you time. A selection of dairy insight publications and Farming Notes are available to buy individually from our online shop. To gain access to all our publications become a Kingshay member.